Changdeokgung Palace is composed of public official buildings, king’s residence and a backyard garden. 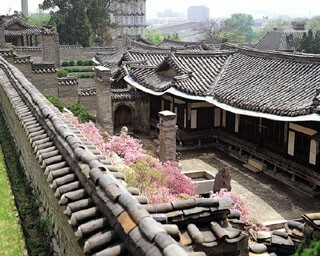 Changdeokgung Palace is the only palace in Korea that preserves the architectural style of the Joseon Dynasty. The garden used to be the king’s resting area where 300-year-old trees, pond and pavilion are harmoniously situated.